My name is Tatiana, but my friends and family call me Tutta. I like writing articles that help bring people closer together. When it comes to relationships, one thing that will never cease is getting to know them by asking them questions! Even after you know them pretty well, the questioning will always be a part of the relationship! 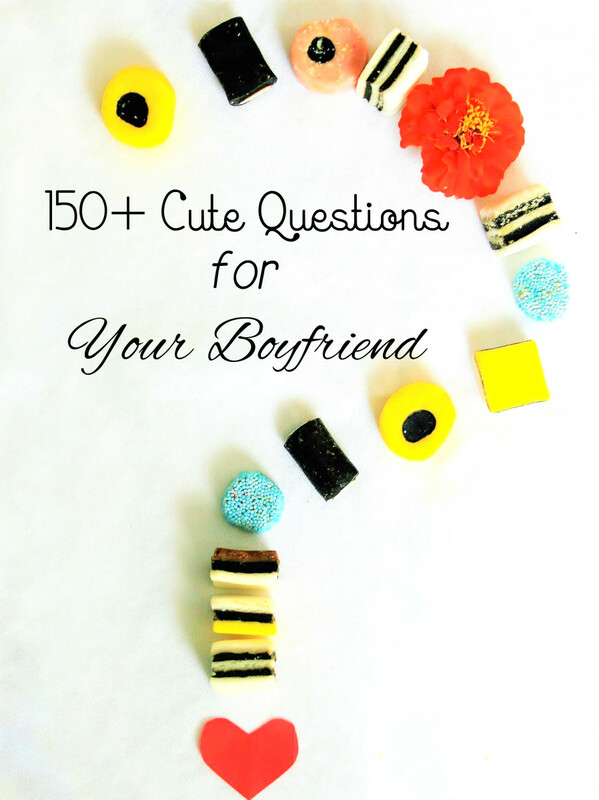 If you’re a girl looking for some random questions to ask your boyfriend, then read on! Asking questions is by far the easiest way to get to know someone. I’ve always said “if you don’t know, just ask!” This holds especially important in a relationship. Ask these random questions of your boyfriend, you never know just what you will learn! How would you describe your dancing style? Would you slow dance with me if we were the only ones on the dance floor? What other foreign foods have you tried? Do you or could you ever hunt? You see a bear charging at you, what do you do? What kind of water sports appeal to you? What's your favorite Leonardo DiCaprio movie? When you go to the movies, do you visit the concession stand or sneak in your own snacks? Would you tell me if I had something on my face or in my teeth? If you could choose any actor to play you in a movie about your life, who would it be? What is the best joke you know? What is your favorite month of the year and why? What’s your favorite thing to do outdoors? If you were on a deserted island and only had 3 books to read for the rest of your life, what would they be? Would you describe yourself as a good cook? Have you ever gotten a speeding ticket? What was your favorite thing to play on the playground as a kid? Have you ever broken any bones? Do you know how to change a diaper? What if you found out your father was gay? What is your preferred morning beverage? What is your stance on men wearing yoga pants? What is your favorite brand of clothing? If I were to treat you out to dinner, would it be weird? How does a rainy day make you feel? Do you have a favorite Michael Jackson song? Would you ever sing karaoke? Can you do an Elvis impression? Can you turn down a challenge? If you arm wrestled your best friend, who would win? Do you think babies are cute? Who is the hottest celebrity? If you were a character on The Simpsons, who would you be? Do you prefer to read the book before watching the movie or just watching the movie? Do you prefer boxers or briefs? If you get a hole in your clothes, do you prefer to fix it or toss it? Would you ever go on a picnic in the park? Have you ever worn makeup? Have you ever dressed up like a girl? How did you get along with your siblings growing up? How well do you get along with them now? Would you ever pick up a hitchhiker? How good are you at putt-putt? What's the first thing that comes to mind when I say, "Disney"? What do you put on your hot dog? What are three things you couldn't live without? What's the most valuable thing you own? Do you talk to your mom every day, every week, every month, or every year? When was the last time you kissed someone? Did you think girls had cooties in kindergarten? What's the nerdiest thing you do? Have you ever played Magic the Gathering? Which is your favorite Harry Potter movie? Have you ever been to Disney World or Disneyland? If you won a $2 million lottery, what is the first thing you'd do? Would you rather have all boys or all girls? You're on YouTube, what video are you probably watching? 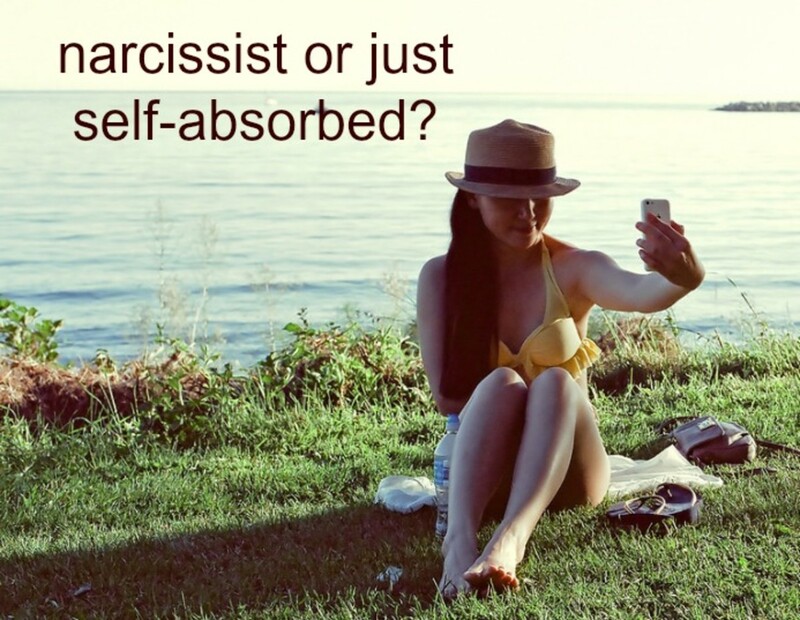 What are 3 words you would use to describe yourself? In what ways do you want to be like your parents? In what ways do you want to be different from your parents? What sounds better? Cuddling by the fire or laying under the stars? What's the worst present someone ever gave you? Did you ever watch Survivor? When was the last time you had a frozen pizza? Do you like McDonald's or Taco Bell better? Do you own a pair of sweatpants? What do you think is hotter? Tight jeans and a t-shirt or a little black dress? Who do you like better, Woody or Buzz? If you could change your first name, what would it be? You open your own BBQ restaurant, what do you name it? Do you prefer long hair or short hair on girls? If someday we have children, what's one personality trait you'd want to pass down to them? What do you want it to say on your tombstone? What's your favorite place you've ever been? What's currently on your shopping list? What are you willing to splurge on for yourself? Can you name the second President of the United States? You have a free night all to yourself. What are you going to do? Put these in the order you'd want to go: Renaissance festival, a rock concert, a football game, a comedy show, and Comic-con. 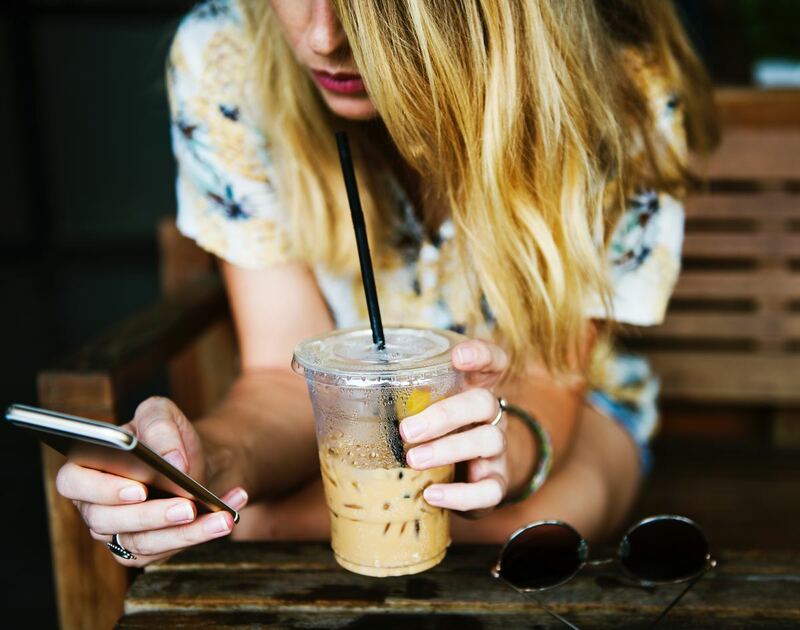 These questions will tell you what things he likes, things he doesn't like, and even some things you never realized you didn't know about your beau! 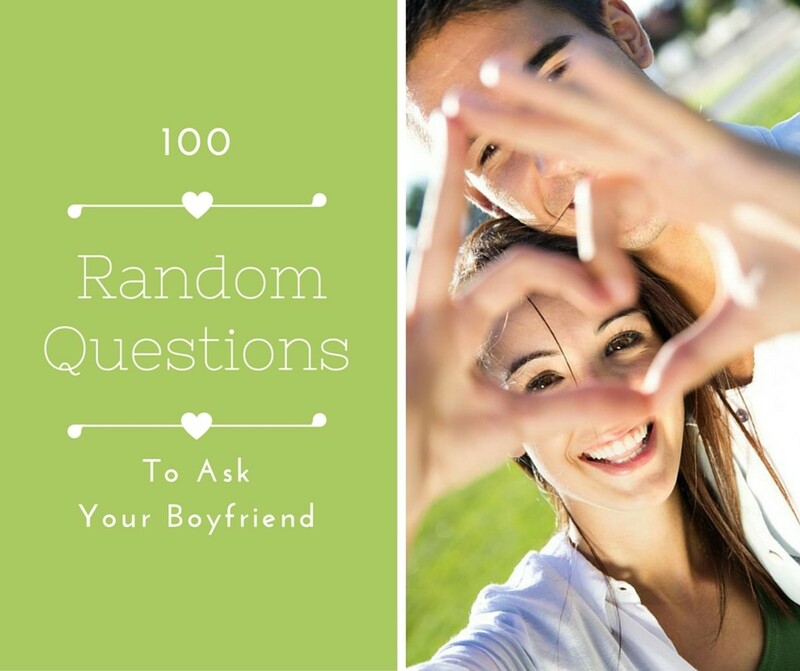 A full list of random questions to ask your boyfriend means hours or even days worth of entertainment! Make it fun for both of you by telling him to ask you anything under the sun. You two will know each other like the backs of your hands! Keep the fun going with even more questions! Ready to get flirty? Here's our list of 100 of dirty questions to ask your boyfriend that will be loads of fun to ask and even more fun to answer! 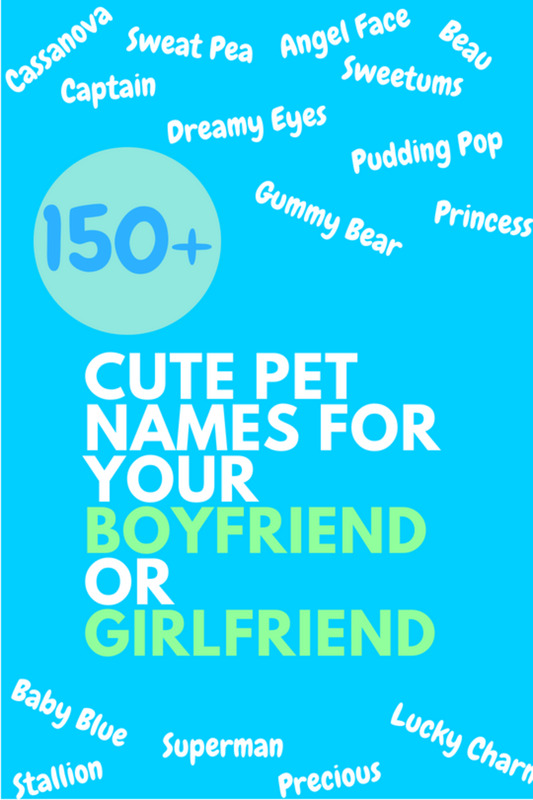 Whether you’re trying to get to know each other better or just bored, here is a list of over 100 cute questions to ask your boyfriend! Asking questions is by far the best way to get to know someone, particularly a new boyfriend! Take a look at this list of funny questions to ask your boyfriend and take a few! Me and my boyfriend did this and I got some pretty good answers out of him..